SYDNEY—For Mick Snowden, “Chinese traditional dance is a little bit ‘left field’ from what I normally do, but I really enjoyed it! I recommend it to anyone!” he said. 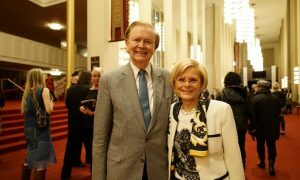 He attended Shen Yun Performing Arts at the Capitol Theatre on the eve of Valentine’s day, Feb. 13. 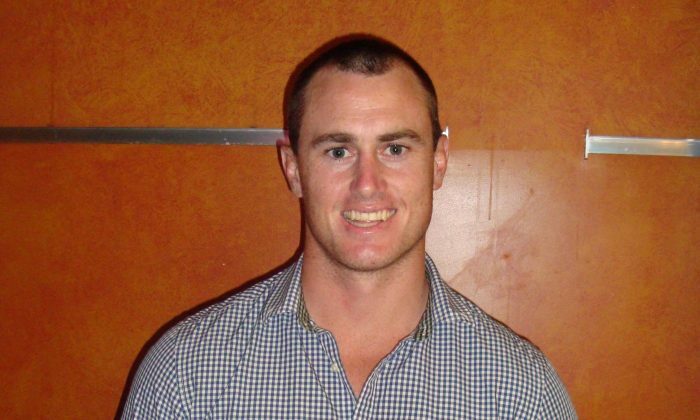 Hailing from Tamworth, New South Wales, Mick Snowden was a professional rugby union footballer until last year. He regularly played scrum half, and previously represented the Western Force, NSW Country Eagles, Combined NSW-QLD Country and Waikato Rugby Union. He is now studying to become a high school history teacher. Perhaps what brought Mr. Snowden to see Shen Yun was because his fiancée used to dance with the German Royal Ballet. He said he had seen a lot of classical ballet before but never classical Chinese dance. One dance that left him a lasting impression was Sleeves of Grace, which featured gentle maidens gliding on a lotus pond, creating ethereal patterns in the air with their long elegant silken sleeves. 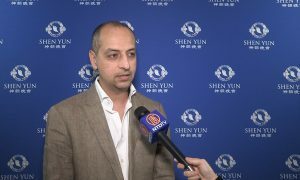 Shen Yun is the world’s premiere classical Chinese dance and music company. Besides classical Chinese dance, which is Shen Yun’s hallmark, folk, ethnic and story based dances are also performed on stage. Each dance embodies qualities reflective of the essence of the divinely-inspired Chinese culture, such as harmony, tolerance, courage and loyalty. 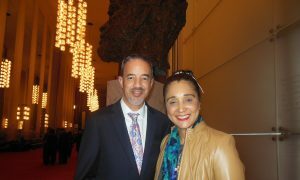 For Ms. Angela Erceg, who is training to be an English professor, her first time seeing Shen Yun was a breathtaking experience. She said moral values were declining today and many people were just living aimlessly, she felt Shen Yun was bringing back those values. “Bringing back that part of history where they had such a divine part of how to live a life, in a way, brings what is important for you in this life. 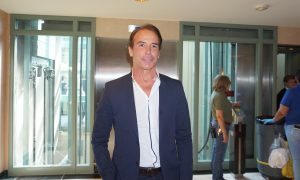 So I think they are doing it marvellously,” she said. Ms. Erceg’s sister, Elena Molnar, a teacher of Serbian and a book keeper, says Shen Yun gave her a chance to dream. This is her second time seeing Shen Yun. 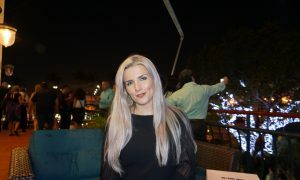 Ms. Erceg felt Shen Yun brings a special peace to her heart, she said that people today are so busy with modern living they don’t have time to focus on other things. 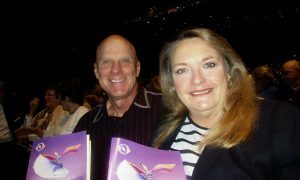 Zohar Edelshtein, who works in intuitive art therapy, saw Shen Yun with her husband, Ravian Budde, a web developer. “The Chinese classical dance, it is so beautiful and eloquent,” Ms. Edelshtein said. Ms. Edelshtein felt a spiritual essence from Shen Yun coming to life. Ms. Edelshtein explains her understanding of the performance: “Basically nowadays in China, spiritual practice is denied from people. 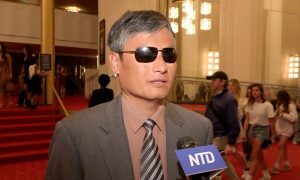 Hence Shen Yun [is bringing] back the freedom to the Chinese people, and I believe in that,” she added.